Louis Armstrong was scheduled for four concerts in a two-day period (December 22-23, 1955) in Barcelona, Spain, but, due to travel difficulties, at the last minute it was changed to three concerts in a single day. 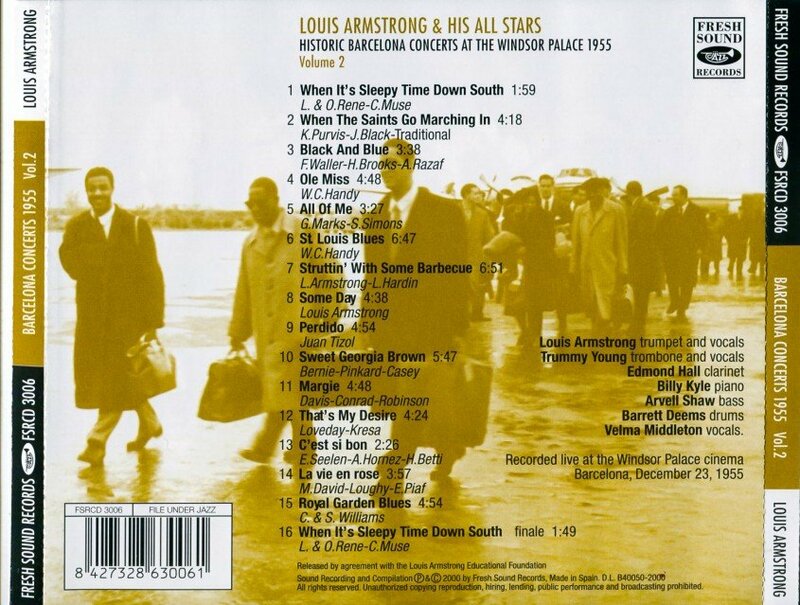 The performances made a strong impression upon the audiences who had never had Satch in their country before. For decades there were rumors that tapes had been made of the concerts, but it was not until producer Jordi Pujol accidentally ran across a collector who had the tapes in 1997 that the music was permanently saved. The resulting two-CD set has 27 selections from the day (plus two opening and closing versions of "When It's Sleepy Time Down South"). 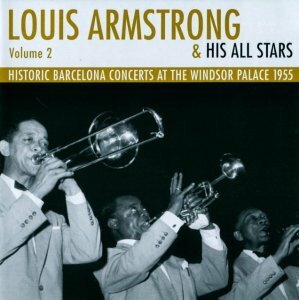 The music is surprisingly well recorded and, although Armstrong and his All-Stars (trombonist Trummy Young, clarinetist Edmond Hall, pianist Billy Kyle, bassist Arvell Shaw, drummer Barrett Deems, and singer Velma Middleton) run through their usual tunes of the period, they seem quite inspired by the cheering crowds. Another reason why this release is rated higher than normal is the superb packaging which contains an illustrated booklet full of photos (and text in both English and Spanish), plus a duplicate of the concert program given out to the audience. The Windsor Palace Vol. II 0 out of 5 based on 0 ratings. 0 user reviews.